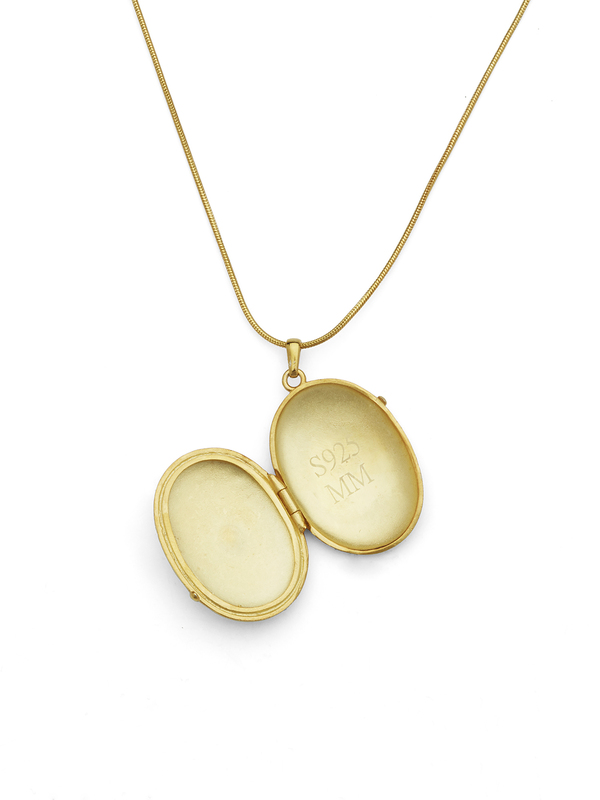 This locket is inspired by the Victorian era, when they became popular because of Queen Victoria, who was admired and a trend setter of her time. She wore a very special locket with a portrait of her husband Albert, they loved each other deeply and the Queen never recovered from his untimely death. The Victorians were a sentimental society, so seeing their Queen so publicly wearing a sign of mourning and love for her husband set off a new trend. This is what I wanted to bring forward with this locket, a beautiful piece of jewellery you can wear to cherish and keep the ones you love close to you. 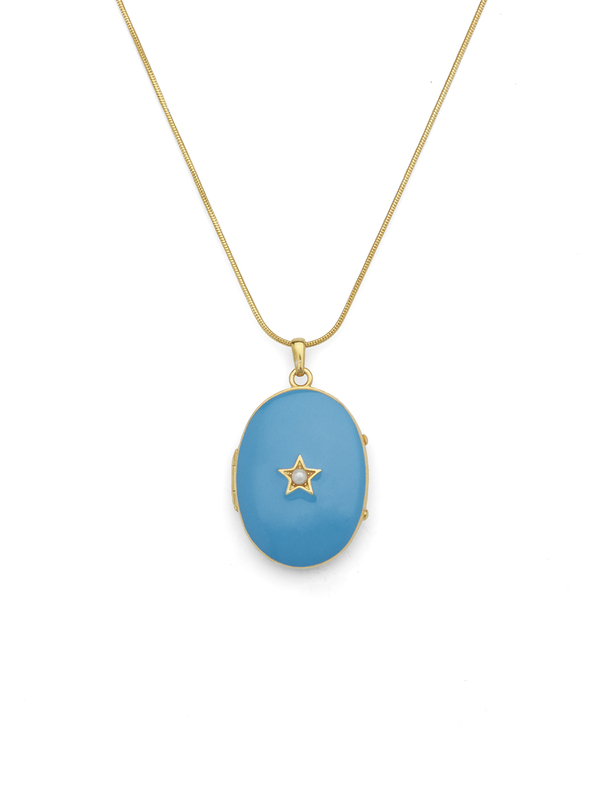 I have named the locket after one of the most precious friends I have, Miranda. The chain in its full length measures 50 cm. 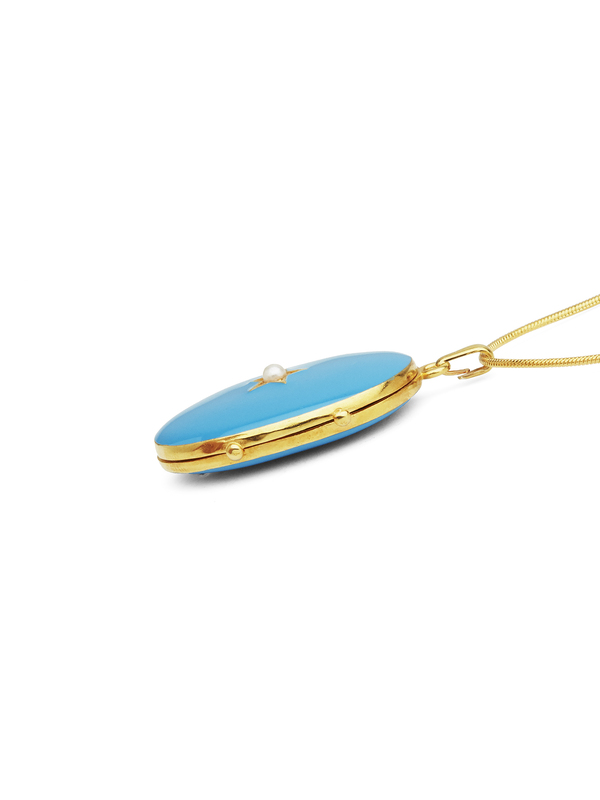 The actual locket is 3 cm long, 2,5 cm wide and 0,5 cm thick. The chain and locket is gold-plated silver, it is silver stamped and also stamped with the MM signature. It comes in four different colour varieties which is hand painted enamel in red, green, turquoise and yellow.